Having trouble finding the right skin care regimen? 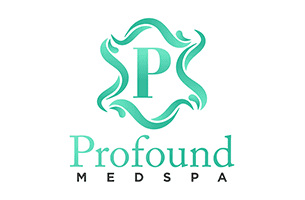 The specialists at Profound MedSpa in Trooper, Pennsylvania, are experts at designing customized care strategies that are right for your skin type. And what’s more, they don’t promote brands that don’t work. That’s why you’ll hear more about Revision Skincare® products when you come in for an evaluation. No matter your age, now is the best time to start caring for your skin and defying the effects of aging. Call for an appointment today, or schedule your visit online. Your first consultation is free. What are the benefits of having a professional skin care evaluation? Your Profound MedSpa provider is trained to identify your skin type as well as the effects that your environment, nutrition, and stress levels are having on your skin. All these factors matter when you’re choosing a care strategy that’s designed to restore your skin’s health and reverse the appearance of aging. A professional can spot the earliest stages of skin damage and recommend a product that can prevent the issue from worsening. If the damage is already significant, your provider can also recommend more intense therapy to effectively resolve the issue. Without professional guidance, most individuals end up trying one product or brand for a time and then moving on to another when they don’t see results. This is often quite expensive and frustrating. A professional skin care evaluation can save you money and result in a customized treatment plan that actually works. What can I expect during a professional skincare evaluation? At the Medical Spa of Pottstown, you can expect a thorough skin exam and detailed discussion regarding your skin care needs and what you can expect from a personalized treatment strategy. The Medical Spa of Pottstown only recommends products that work, which is why they offer the Revision Skincare line. What is so special about the Revision Skincare product line? Each product is carefully tested and clinically proven to provide the promised results. The team at the Medical Spa of Pottstown has seen great success with the Revision Skincare brand and is happy to recommend it to their clients. Call the office today for an appointment, or book your visit online.